Mali Enterprising Leaders is the first community business pilot project which seeks to create community business opportunities intergenerationally within BAME community organisations in the UK. This programme will provide a safe space for young leaders to explore their role in society as changemakers and how they can make a deep and lasting impact in their communities. Through this project we want to support the set up of community projects/ initiatives/ businesses driven by Lambeth communities who have been most affected by gentrification and who are often excluded from regular business-growth events. Ubele provides a comprehensive package of support and development to the LLCC. A clear vision of the future for the centre will be identified, supported by the local community based on the needs of the community. Leading Routes is also an incubation project. It is a pioneering initiative, established to address the issues faced by Black students and graduates. with a particular focus on supporting ambitious young people into competitive universities and professions. With collaborating community partners, the programme will shine a light on the injustices that were rife at that time, highlighting the issues around race, poverty and policing and examining how little these have changed in 40 years. Wise Women Wellness seeks to enhance the health and mental well-being of African, Caribbean & Multi-Ethnic women by creating a community women hub. This innovative Erasmus+ adult learning project will establish a creative intergenerational learning space through which 5 different but interconnected learning programmes will be offered to younger and older community leaders, change agents and social activists from BME communities. The IRETI project has as its goal the sharing and development of best practices in education for adults. The project was born from the idea to provide real support to victims of trafficking. The main objective of the project is to develop and pilot the "Welcomeship" model of inclusion which closes the gap in collaboration and dialogue between the local residents, local young people, as well as migrants and refugees. The programme is designed to cultivate inner knowing, empowerment and personal transformation. Working On Our Power will reinforce the existing movement infrastructure for WOC in Europe by creating a space to organise and learn together. The Youth Changemakers Training 2: Learning and Sharing for Ecological Sustainability, Community Resiliency and Personal Agency (YCT2) aimed to increase the capacities of youth to effect long-lasting social and ecological change in their communities and internationally. 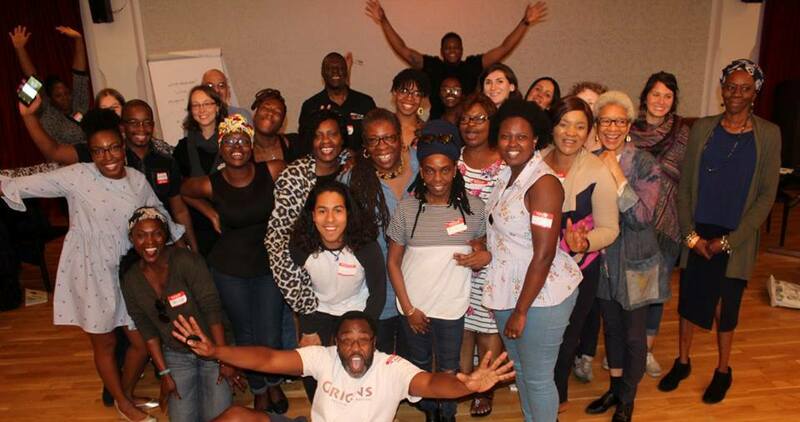 The 'Black to the Future - A Sankofa approach to the exchange of youth work practice' was a 20 month innovative intergenerational project for youth workers from the African Diaspora in Amsterdam, Bonn and London. The project proposed learning specific skills related to the prevention of hate speech by responding to its manifestations. NoH8@All supported also the people affected by this form of violence and the education of people who spread hate speech. The Ubele Initiative had been commissioned to support StART on inclusion issues. StART is a group of Haringey residents and workers who want to see the St Ann’s Hospital site used permanently for the good of all our local communities. PatHERways International aimed to help to create greater access for young women’s participation in politics. Ubele was leading the UK element, other countries include France, Portugal, Peru, Cape Verde, East Timor and Mozambique. 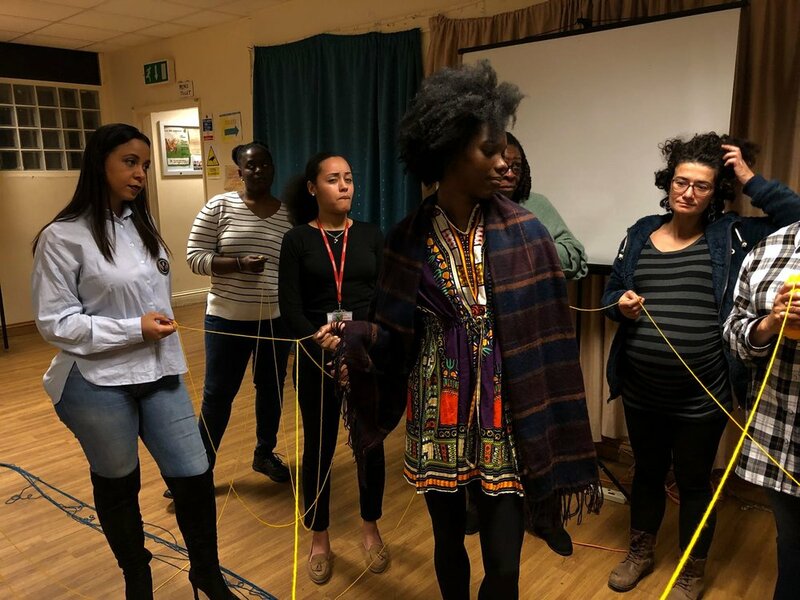 PatHERways offered a unique opportunity to support younger WOMEN from the African Diaspora to become civic leaders in their communities in five of London’s boroughs – Hackney, Haringey, Lambeth, Lewisham and Southwark. This project was a social leadership training programme that aimed to develop participants' personal and professional social leadership skills. The learning activities gave the participants new frameworks for enabling positive change in their communities. Wise Women on Wheels was our exciting incubation project in collaboration with Rockstone Community Foundation. It supported Black and Minority Ethnic (BME) women over the age of 45 in developing cycling proficiency. The Grenfell Tower fire tragedy that took place on 14th June 2017 was not just the devastation of a physical building but a human travesty. A faulty fridge freezer in a kitchen on the second floor of the 24-storey Grenfell Tower block of public housing flats in North Kensington, Royal Borough of Kensington and Chelsea, is believed to have started the fire which engulfed the floors above.